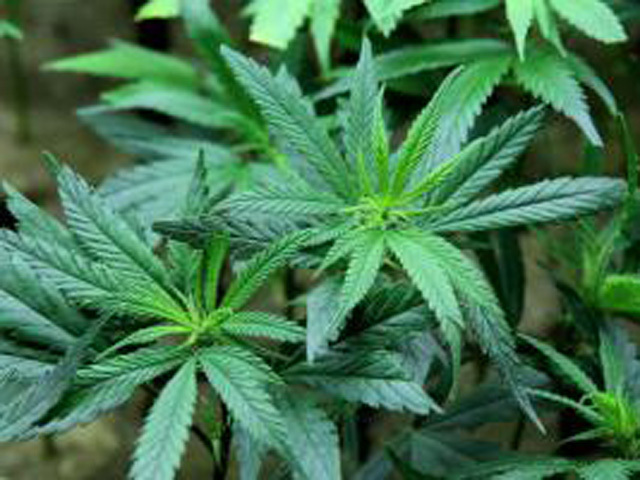 WASHINGTON -- The GOP-controlled House voted early Friday in favor of blocking the federal government from interfering with states that permit the use of medical marijuana. The somewhat surprising 219-189 vote came as the House debated a bill funding the Justice Department's budget. The amendment by conservative GOP Rep. Dana Rohrabacher of California - the first state to legalize medical marijuana - came as almost half the states have legalized marijuana for medical uses, such as improving the appetites of cancer patients undergoing chemotherapy. Can medical marijuana treat neurological disorders? "Public opinion is shifting," Rohrabacher said, noting a recent Pew Research Center that found 61 percent of Republicans support medical marijuana. The numbers are higher for independents and Democrats. "Despite this overwhelming shift of public opinion, the federal government continues its hard line of oppression against medical marijuana," he said. Oregon Democrat Earl Blumenauer told opponents that "this train has already left the station." "Congress is officially pulling out of the war on medical marijuana patients and providers," said Dan Riffle, director of federal policies for the Marijuana Policy Project. And Tom Angell, the chairman of Marijuana Majority, said the vote "shows just how quickly marijuana reform has become a mainstream issue." "The last time a similar amendment came up it didn't come very close to passing but, since then, more states have passed medical marijuana laws and a couple have even legalized marijuana for all adults," he explained. "More states are on this way later this year and in 2016, and it's clear that more politicians are beginning to realize that the American people want the federal government to stop standing in the way. If any political observers weren't aware that the end of the war on marijuana is nearing, they just found out." A CBS News poll in January found 51 percent of Americans in favor of marijuana legalization, marking a steady rise in support for more permissive pot laws. Opponents said that marijuana is regulated too loosely by the states and harms the brain. Rep. Andy Harris, R-Md., cited a recent Drug Enforcement Administration study that said that many in the medical marijuana movement are using it as "a means to an end," meaning legalization for recreational use. The measure now heads to the Democratic Senate.